A few months ago we reported on the Salmon Summit in Reykjavik. Now the NASF (North Atlantic Salmon Fund) struck a historic deal to save the North Atlantic salmon. After months of negotiations, the NASF was able to secure a 12 year agreement with the Greenland fishermen’s union, KNAPK, to close their commercial salmon fishery. We talked to Fridleifur Gudmundsson, chairman of NASF Iceland, about this deal was possible, what it means for North Atlantic salmon and how much of Orri Vigfusson‘s spirit, the longtime NASF-chairman who sadly past away last year, is part of this agreement. What does the agreement mean for Atlantic salmon, Fridleifur? First and foremost, these conservation agreements will ensure that thousands of wild Atlantic salmon from over 2,000 rivers from both sides of the Atlantic will return to the rivers where they hatched and get the chance to breed. Secondly, it confirms that NASF is still going strong after the passing of Orri Vigfusson last year. Its members and supporters have united and this result could only be achieved with the collective work of the many amazing and passionate people that live and breathe the salmon conservation world. How was the agreement possible? A group of us picked up where Orri left off. Orri was always in good relations with both the Greenlanders and Faroese fishermen. The agreement with Faroese has been ongoing every year since 1991 but there had not been an agreement in place in Greenland in recent years. NASF US, led by director Chad Pike and his team, together with ASF´s Bill Taylor, re-established the relationship with the fishermen’s association in Greenland (KNAPK). Oddly enough we all met, many of us for the first time, at Orri´s funeral. Following that meeting we had several meetings in Reykjavik with KNAPK and then me and Elvar Fridriksson, Icelandic NASF BoD, visited some of the settlements in Greenland with KNAPK. We introduced the deal to the fishermen and asked them for their opinion on the matter and how we could support them in finding alternative revenue instead of salmon fishing. The fishermen were amazing and good to work with, and they understood the issue and we all agreed that it was in all our interest to enhance salmon stocks. We are now working on identifying what development projects we can support. What is the scope of the agreement? What does it mean it relation to salmon conservation efforts? The scope of the conservation agreements is to work with the fishermen associations every year and try to identify development projects that will substitute salmon fishing. The projects have to be sustainable and in harmony with the environment. We are trying to find long term projects that can enhance the society as a whole. Greenland is very different from Faroese. The settlements are very disbursed and distances between places are great. There are a lot of challenges but the opportunities there are immense. How much of Orri(‘s spirit) is in this agreement? These conservation agreements are what defined Orri and NASF´s vision. The NASF recognizes the sovereign rights of nations. It recognizes the rights of commercial fishermen to fish and it recognizes their right to make commercial agreements that reflect their fair share. 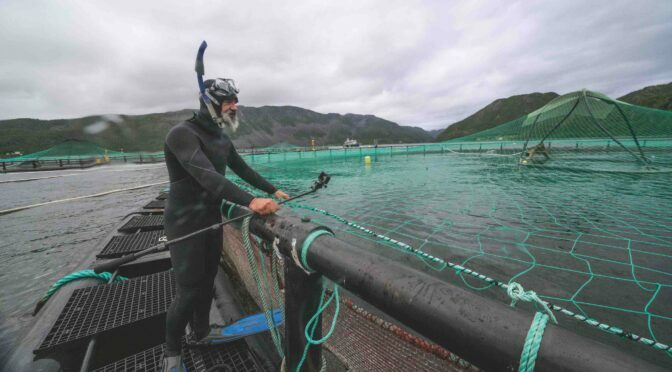 Orri´s vision was to make people aware of the state of the wild Atlantic salmon and once that has been achieved, work with them to find alternative solutions to salmon fishing. This vision enables conservation to be uninterrupted with changes in political landscape or a shift in policy. Meeting the people that Orri has been negotiating with for over two decades is a unique experience. What does the agreement mean for the future work of the NASF? NASF has been a powerful drive in salmon conservation for the past two decades. The network is large, and the supporters are spread out. There have been some concerns about the future of NASF following Orri´s passing. 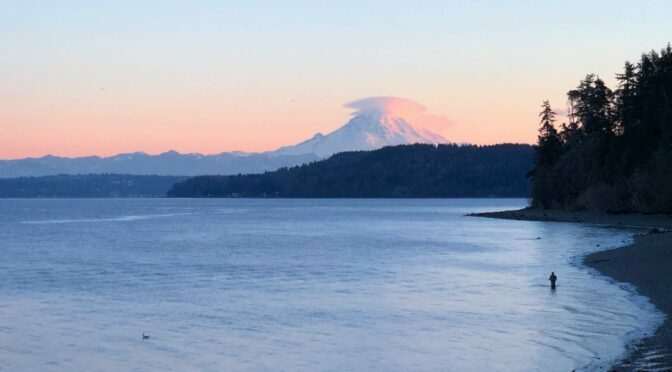 By signing these agreements, we are sending a strong message to the world that NASF is still here and going strong and the fund will keep fighting for salmon conservation for years to come. The state of the wild Atlantic salmon stock is freightening and we need as many supporters as possible to help us fight to preserve their existence. What does the agreement mean for other spawning areas of the Atlantic salmon? The Faroese and Greenland waters are the largest known mixed stocked wild Atlantic salmon stocks in the world. This means that more salmon will return to their native rivers and spawn for years to come. NASF, together with ASF, strives to enhance wild Atlantic salmon stocks everywhere. These agreements are one of the most important in our conservation efforts. Last week was a great week for wild Atlantic salmon and with these agreement it will be for years to come. What is next on the agenda of the NASF? There is a lot going on in NASF´s many chapters around the world. For NASF Iceland our largest threat is the growing fish farming industry. It is still in its infancy but if a new legislation will pass in the Icelandic parliament it could mean that more open net pens will be allowed in Icelandic waters. This can have devastating effects on our wild salmon, char and trout stocks. 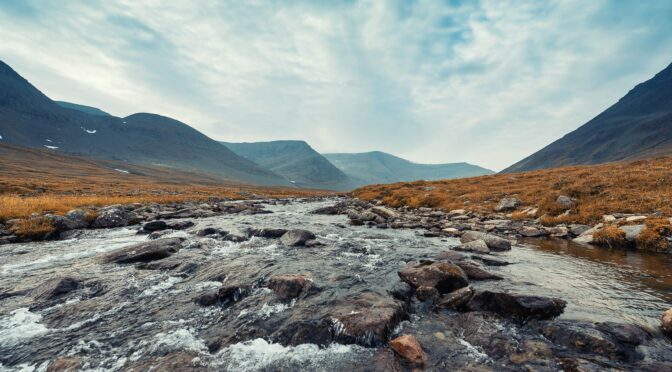 Iceland has one of the healthiest natural stocks in the world and a very unique genetic strain has been mapped between rivers. You can see the difference in the stock even in between two rivers that are right next to each other in the same fjord. It is truly amazing, and we must preserve our wild salmon as much as we can. The fish farming industry in Iceland uses Norwegian farmed stocks that are very different from the Icelandic stock. We are now looking for supporters to help us fight this powerful force that the fish farming industry is. Learn more about the NASF’s work. Forks is a scruffy town of 3,800 people named for three steelhead fly fishing rivers which join outside town: the Sol Duc, the Calawah and the Bogachiel. Produced by Yvon Chouinard the film addresses wild fish, wild rivers and habitat destruction by fish farms. Every time I walk into a fly shop I am magically attracted by the shelves of flies that are the backbone of a legitimate fly fishing store. I own a 7 foot, 5 weight bamboo fly rod made by Anacortes, WA, rodmaker Tom Fulk. The rod is a lovely dark honey color with Tom’s characteristic red wrap scheme. As winter drags on here in my northern clime, I increasingly find my thoughts drifting as I long for the warmer days ahead. You’ve seen pictures of big pacific salmon in sports magazines. Chinook salmon can hit 20-40 lbs. Get all the news from THE WADING LIST delivered to your inbox!